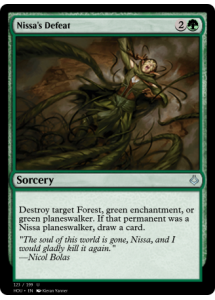 Destroy target Forest, green enchantment, or green planeswalker. If that permanent was a Nissa planeswalker, draw a card. 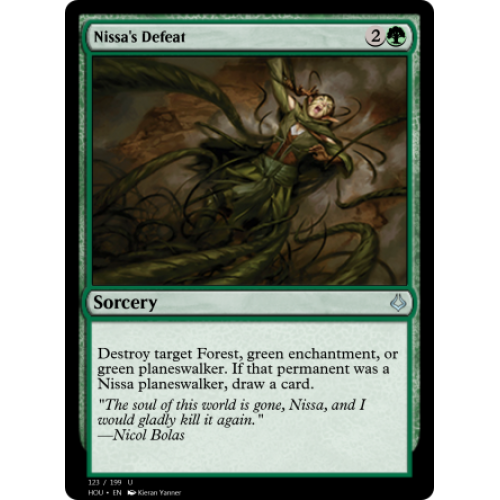 "The soul of this world is gone, Nissa, and I would gladly kill it again."